Due to utility rate changes, variations in demand increases your bills. 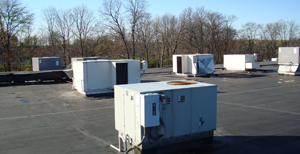 HVAC is often the largest contributor. By adding HVAC controls you can manage your demand, reducing those variations and your costs. You pay for more than generation of electricity in your electric bills, which is all you really hear about. But did you know that generation can be as little as one third of your bill. You pay a rate for metered usage for generation yes, but you may also pay a rate for demand and several fixed 'Riders' as well. Demand is the amount of electricity that you are using at any one time. And the amount that you pay is sensative to both the size of the demand and fluctuations in demand. In many cases the fluctuation can be considerable and that can get expensive. The more the fluctuations the higher the costs. Each month the highest demand, over a period of time (typically thirty minutes), is registered and stored in your electric meter. When your meter is read both the metered usage and the demand is read and then demand reset. Both the metered usage and the demand is used to calculate your bill. If you have fluctuations in your demand then you will notice that the demand multiplier changes. If the demand multiplier is greater than one then you are paying an additional amount for your demand. The higher the number the more you are paying. To reduce your monthly costs it is important to look at both your usage and your demand. Controlling both is key to managing your total costs. Lowering your usage and demand are different but not completely seperate issues. Smart controls can be used to manage both and help you manage your costs. Making your home truely comfortable and saving money on your utility bills go hand in hand. I'm continually amazed at how many people have commented about one room being comfortable and the next is either too hot or too cold. Or that one floor is comportable and the other is too hot or too cold. And no matter what they do with the thermostat(s) the problem continues. Even when they change the registers in rooms it doesn't really solve the problem and then the season changes and here you go again. The good news is there are affordable solutions for these problems and they actually save you money. What you need to recognize is that you are, and going to be, paying utility bills now and into the future. So taking action that saves you money and provides comfort is both a short and long term value. Addressing these issues is a control matter. 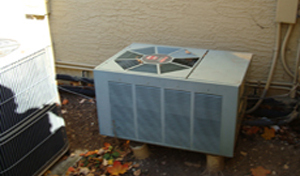 How, when and where your heating and cooling system delivers what temperature of air is the answer. Better control is what is required to maintain your comfort level and manage when, where and what temperature air is sent where. In most homes the contols are simply insufficient. But the good news is that your comfort issues can be fixed and improving your comfort actually saves you money. It's simple, if it is working better it works less. Less energy used, less cost. Monitor, Access & Control any unit or system from anywhere. Get status, alerts and automate controls. Dynamically manage systems and units as required. 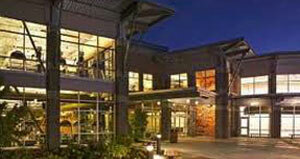 Reduce costs of maintenance and employee time to check the status of units and apply changes. Be in charge and start reducing you costs today.